By 2024 more than one in four of us will be over 60 and a girl born today has a 50% likelihood of living for 100 years. We will help you navigate through all issues such as making and amending a Will along with arranging Lasting Power of Attorney, including both Financial Affairs and Health & Welfare. When it comes to care we can attend best interest and discharge meetings and if necessary we can deal with disputes about funding, including Local Authority assessment and NHS Continuing Care funding. We also oversee applications to the Court of Protection for statutory Wills and for other financial and health decisions. How will you explain all this? 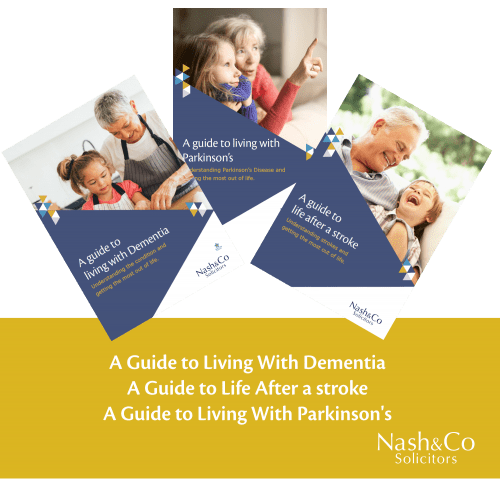 At Nash & Co we help you support the people around you who really matter; those who you may be looking after. The law can be complicated at the best of times and that is why we are very approachable and understanding. Our aim is simple; to understand your circumstances and to provide the best advice to achieve the best outcome – and we’ll do this while supporting you at all times. 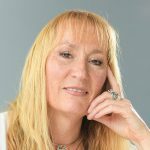 If you look after someone who is diagnosed with a dementia, Parkinson’s, a stroke survivor or other life-limiting illness and have experienced a time when you wished for someone to be on your side, to explain what is happening and to advocate for your loved one please contact Hilary Cragg and we will do whatever we can to help. Hilary’s email address is [email protected] or you can call her on 01752 827047. We are sensitive and understanding and we will support your loved one and you as carer, to navigate the challenges that you face and to get the best possible outcome. This funding is available from the NHS when someone has a primary healthcare need as opposed to a primary social care need or alternatively is in the final stages of a terminal illness and is rapidly declining. There is no statutory definition of either a social care or healthcare need. However washing, dressing, feeding, changing and monitoring health, including non-verbal communication are likely to be considered social care, so if you have needs greater than this, it is then these are likely to be considered healthcare. How is it determined which is the primary need? Everyone who receives care will receive some social care and in all likelihood, some healthcare support. The issue regarding NHS Continuing Care Funding is what is the balance between the two and which one of the needs is primary. To decide the balance the assessor will look at the twelve domains and the four key indicators. What are the twelve domains? What are the four key indicators? The assessor will consider the nature of your need, where your needs emanate from. How intense any one particular need is on its own. How complex your needs are and whether they interact with each other. And finally how unpredictable they are, how often your presentation changes. When is someone entering the final stages of a terminal illness? Often the final stages of an illness are considered to be the final three months, however the professional monitoring you will you advise. In order the be granted NHS Continuing Care Funding the assessor will wait until they are sure that you are entering into this final stage. I’m not in a care home, can I still apply? Continuing Care Funding can be granted in any location, it doesn’t matter where the person is living, only whether they have a primary healthcare need. How do I apply for NHS Continuing Care funding? You must speak to your local NHS Trust in which your GP surgery is located and ask for an assessment of your needs. I have a particular condition, will I automatically have the funding granted? No, the funding is granted on how your condition presents, not on any particular condition. As people often have co-morbidities, ie more than one serious health condition, the assessor will look at the totality of all your healthcare conditions in deciding whether you have a primary healthcare need. How can I avoid paying care home fees? Sometimes it is not possible to avoid paying care home fees, if you are permanently admitted into care. You might be able to rent your house out and top up your income with the rental monies. However if you cannot meet the cost of care from any other means, then you might have to sell your home to fund your care. If you have a spouse or partner living in the property, then it is exempted from financial assessment. It is also exempted if you have a relative over the age of 60 or one that is disabled and is in receipt of a disability benefit living at the property. The property is exempted if you continue to live in it, but you might have to pay towards the cost of your domiciliary care, the payment of which is means tested. What happens to the property if it is jointly owned? If the other owner does not want to sell their share of the property, then this has the effect of devaluing your half of the property for the purposes of financial assessment, as a half share of a property has limited value on the open market. They are powers appointing someone else to manage your affairs if you become too unwell in the future to manage them yourself. There are two kinds, one covering financial affairs and one covering health and welfare decisions. What is a financial decision? Anything that you own can be included in a financial decision, which includes your property and savings, and might also include any business that you might own or have a share of, it includes all your personal possessions and any outstanding loans. Your attorney can do anything with you financial arrangements that you can, except make significant gifts. What is a health and welfare decision? Any medical decision about any form of treatment or drug therapy, including the right to refuse medication or treatment. Social care decisions include what you wear, what you eat and who visits you. An important decision is where you live, including whether you go into a care home and if so, which one. There is a separate question about life-sustaining treatment, such treatment can include CPR, food and fluid, medication, admission to hospital or antibiotics. It is any kind of treatment that sustains life. You can choose to allow your attorneys to make this decision on your behalf or not. Can I appoint more than one person? Yes, you can appoint both attorneys in first instance and substitute attorneys (if something were to happen to your first set of attorneys). It is advisable to appoint more than one attorney, to ensure you still have someone to care for you, if something should happen to your main attorney/s. How can the attorney act? The attorneys can act either jointly which means that all of your attorneys must agree (which can be inconvenient) or jointly and severally, which means that any one of your attorneys can act on their own. If you specify it, you can have a hybrid of this, where some decisions are jointly and some are jointly and severally, you need to stipulate which decisions are to be made either way. Technically the LPA is not created until the date that it is registered at the Office of the Public Guardian, which can take 2-3 months after the document is signed by the donor and the attorneys. I’m thinking about waiting until I need it, is this a good idea? As long as your proposed attorneys are over the age of 18, there is no time when it is too soon to create them, but if you were to have an unexpected illness or accident, it could be too late. They do not need to be used immediately after they are created. What happens if I don’t create LPAs and become unwell? Your family will be forced to apply to the Court of Protection for a deputyship order, which takes longer than the registration of an LPA and costs more money in both legal fees and registration fees. There are also ongoing bond and supervision costs with deputyship, which are not incurred with LPAs.